We wanted to build something that put some power into the hands of people who dedicate real time to solving social problems. 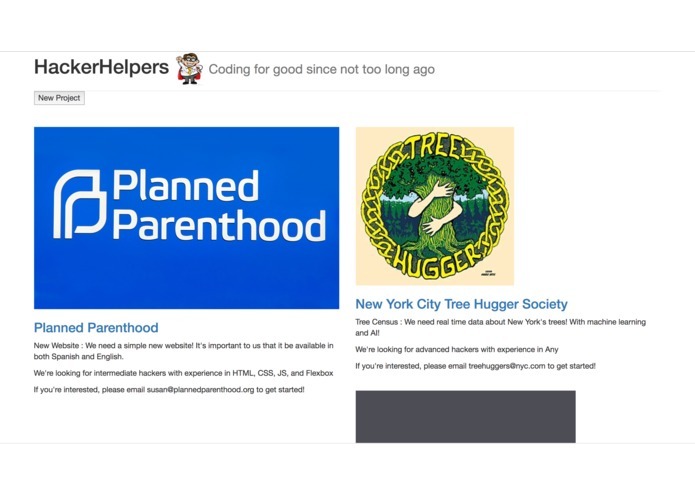 Rather than putting the hack first and assuming it would fulfill a need, we decided to give social good organizations a simple way to connect with local hackers. They get free tech, and devs get to build their resumes with credible projects while doing some good.